This ambitious project seeks to characterize the genetic and epigenetic regulation of multiple facets of transcription in distinct brain regions across the human lifespan in samples of major neuropsychiatric disorders and controls. Initially focused on schizophrenia and mood disorders, the goal of this consortium is to elucidate the underlying molecular mechanisms of genetic associations with the goal of identifying novel therapeutic targets. 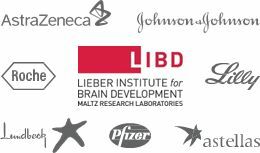 The consortium currently consists of seven pharmaceutical companies and a not-for-profit medical research institution working as a precompetitive team to generate and analyze publicly available archival brain genomic data related to neuropsychiatric illness. Phase 1: DLPFC polyA+ RNA-seq on 738 subjects spanning the lifespan and three main psychiatric diagnostic groups (Schizophrenia, Major Depression Disorder, and Bipolar Disorder. Phase 2: DLPFC and Hippocampus RiboZero RNA-seq subjects spanning the lifespan and adult patients with schizophrenia. Collado-Torres L, Burke EE, Peterson A, Shin JH, Straub RE, Rajpurohit A, Semick SA, Ulrich WS, BrainSeq Consortium, Valencia C, Tao R, Deep-Soboslay A, Hyde TM, Kleinman JE, Weinberger DR, Jaffe AE. Regional heterogeneity in gene expression, regulation and coherence in hippocampus and dorsolateral prefrontal cortex across development and in schizophrenia. bioRxiv, DOI 10.1101/426213. 2018. Pre-print URL.